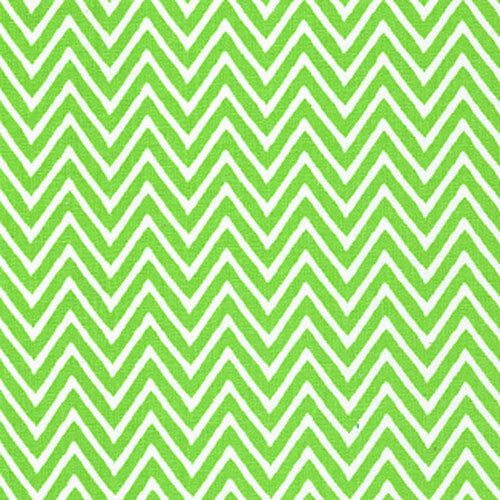 Lime green and white zig zag chevron striped fabric. 100% pima cotton fabric. Lightweight and drapes beautifully. Suitable for apparel or quilting. Fabric Finders Print # 1283. Small scale print.